Many Americans create wills each year in order to give certainty to their loved ones and ensure that their possessions and assets will be passed to the people they love. However, there are many greedy and unscrupulous individuals out there who look for ways to falsify wills in order to inherit from wealthy relatives. A fraudulent will is very difficult to dispute, however, as there are a lot of formalities in place to make sure a will is not contested. If you suspect that a relative or friend has defrauded your loved one to steal from the estate, contact an experienced litigation attorney who can help. In general, here’s what you should know about disputing a fraudulent will. This is step one, because probate law is very complex. There are numerous statutory deadlines and obstacles that the ordinary citizen would have no reason to know. Speaking to a lawyer early in the process is the best way to ensure you preserve your rights. Next, it’s important to at least attempt to get a rough idea what assets and liabilities the loved one’s estate may have. Many heirs remember a loved one as being “well off,” only to discover that the person was leveraged with debt and mortgages. Just because the deceased individual had nice cars and a big house does not mean there are actually assets subject to probate disposition. An experienced attorney can help to discover whether there is a reason to even dispute the will at all. If there are no positive assets to distribute, then it may not be worth the effort. Step 3: Is the Will On File? Maryland law requires you to file a will if there is one. If you come to be in possession of a copy of a fake will or one you believe is fraudulent, you may need to open a specific type of probate estate in order to get the court’s authority to compel the wrongdoer to produce a copy of the allegedly original will. If, however, the so-called original will is on file with the court, you should have an experienced lawyer review it to see if it meets all of the necessary legal formalities. If someone filed a fraudulent will and has opened an estate in an attempt to steal from your family, you must dispute the will formally through a court proceeding. Maryland law gives you just 6 months to file a will contest in court, beginning from the date on which the estate was opened and notice was given. Many people who file fraudulent wills choose not to provide legal notice. Therefore, if you suspect something, you should have an attorney search local court records to see if anything has been filed. If you suspect a loved one was coerced into signing a will or may have signed the will when under some form of mental impairment (i.e. dementia, on deathbed, under duress, etc. ), then you should definitely consult with an attorney. 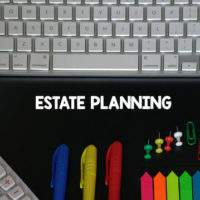 Just keep in mind that many of the primary assets that you may be concerned about do not pass through probate. For instance, if your loved one left a home in joint tenancy, the property is not even a probate asset. The same is true of things like joint bank accounts, retirement accounts, investments accounts, and most forms of life insurance. Often an experienced lawyer can help you determine if the will is even worth disputing under the circumstances. For help with your will contest, call the Law Offices of Todd K. Mohink, P.A. today.